I recently discovered the music of Jonathan Coulton after he was on last week’s episode of This Week in Tech (TWIT). He will perform at the Cactus Cafe in Austin, TX on March 8th. If you live in the area, I would recommend attending. You can check out his music here. All of his music is available on the website in full. Check out songs like “Code Monkey” and “Millionaire Girlfriend” to get started. It has been 5 years since Microsoft has released a new version of its server operating system. Although most of our systems at work have been running 2003 for a while now, we still have several 2000 boxes where software support for 2003 R2 SP2 is lacking. So I’m not sure what to expect. I believe 2003 has been the best release from Microsoft thus far, and most businesses would need a compelling reason to update active directory and their servers. I haven’t kept up with any pre-release speculation (assuming their has been some), but I would expect to here something today about the future of Microsoft’s virtual server and hypervisor. How do you think Microsoft will make that compelling case to business today? Is there anything they could say that would win us over? Do we even care? I saw this video on CNN this evening. I wanted to share this with my sister, but her blog won’t let me post a comment because I’m not one of her myspace friends. So here it is. Everyone should watch this anyway. For more information on autism, please visit AutismSpeaks.org. I don’t spend much of my life on the phone. I rarely come close to my 1000 minute-a-month cell plan. But if you are a power talker, you might want to take note that a price war is going on. Verizon, AT&T, and T-Mobile are all now offering $99 a month unlimited plans. Read more about it in this ZDNet article. It has finally launched! What was previously called “Skulltrail” is now being sold as the Intel D5400XS. This board has two LGA771 processor sockets that support both the Intel® Core™2 Extreme and Intel® Xeon® chips. That means 8 processing cores!! Make no mistake – this is a server class machine being branded as a high end desktop rig. The motherboard alone has a price tag of $650 (and that is assuming you can find one yet). If you browse over to Falcon Northwest, you will see that a “Mach V” system based on this board would run you upwards of $10K. Although I am still happy with my AMD Opteron system today, this may wind up replacing my Tyan K8WE. If you are into gaming, video editing, or even server virtualization – this might be the board for you. Did I mention that is supports Nvidia SLI and ATI Crossfire? If you want a more detailed review, check out this article I found on PC Perspective. 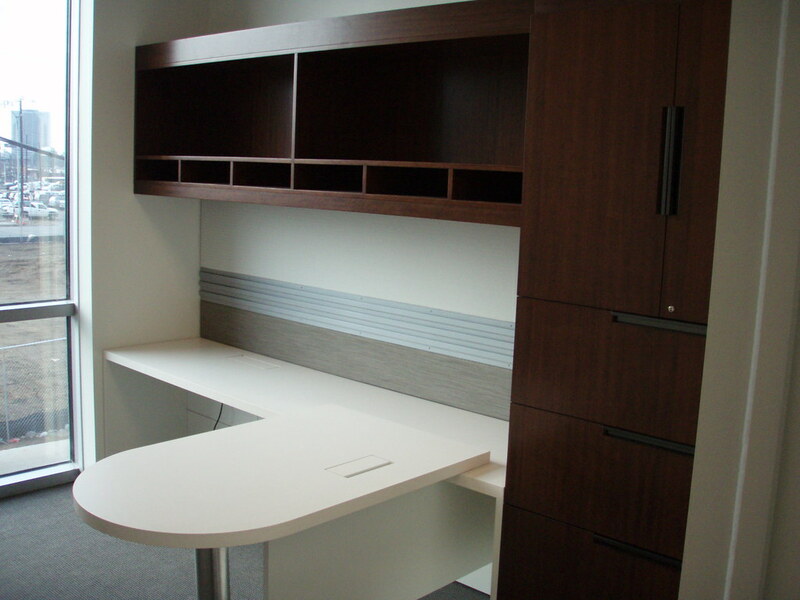 Thought I would share just a couple pictures from our new corporate office. 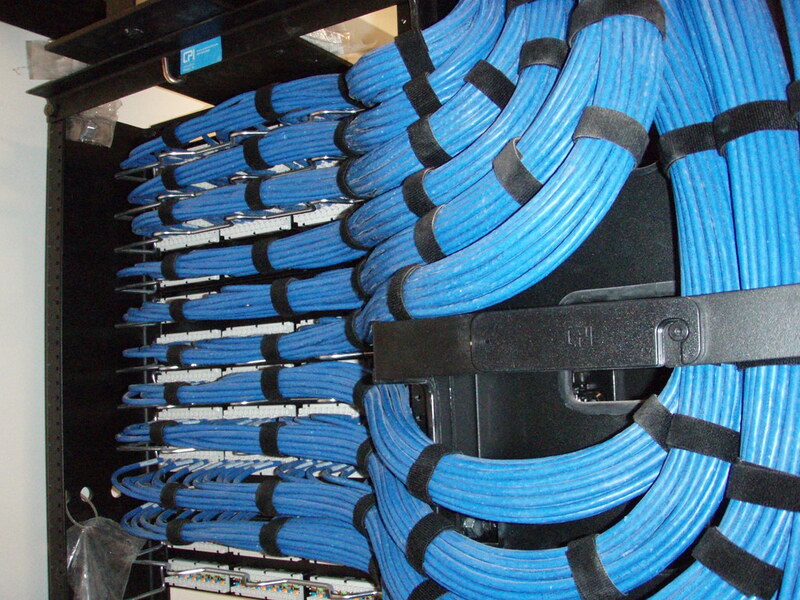 The first picture is of the Systimax 2081 cable terminations from one of our IDF closets. The second photo is of my future office.